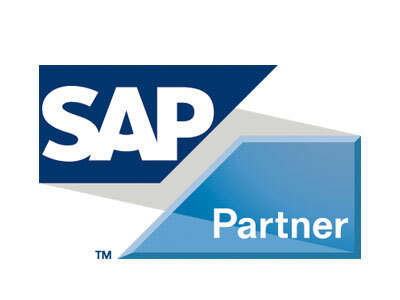 Are you looking for a partner, who designs and develops your SAP solution according to your requirements? Are you facing expansion or integration tasks relating to SAP? If you want to introduce or optimise integrated SAP ERP solutions or are looking for support for business landscape transformation (carve in, carve out) or business process design – we are your partner. With the extensive services of Advellence, you can optimise your ERP installation efficiently and make it future-proof – and improve your operational procedures at the same time. Is your company affected by restructuring, outsourcing, a sale or a merger? Do you want to restructure your IT landscape independently from your daily business? Upon the outsourcing of companies or parts of the company (carve out), we support you with the division of your SAP system landscape into stand-alone systems. Plants, accounting areas and clients are restructured according to your specifications. In the new systems all data that is no longer required is archived securely (legally). Do you want to merge organisational units (merge, carve in)? We bring the SAP systems together and thereby create a unified system landscape. Long-term grown SAP ERP environments often no longer meet the requirements due to growing data volumes, new business processes or changed legal conditions. A redesign unifies the structures, creates new possibilities for the reporting, improves performance, and contributes to the reduction of operating costs. We always pursue a holistic consulting and solution approach from the analysis to going live. 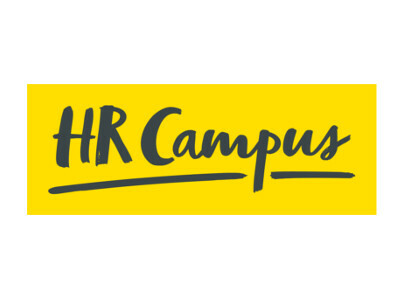 Are you looking for a new HR system? Do you want to introduce self service or web portals in HR management? The integrated personnel system SAP ERP HCM offers your department extensive functionalities and process support. Advellence and its partners help you to design your processes and their mapping in SAP HCM up to the SAP production data acquisition, as well as interface adjustments or the integration of existing solutions. Employee Self Services (ESS) and SAP Fiori scenarios offer your employees the possibility to record, display and evaluate the data of your HCM system independently. Manager Self Services (MSS) and SAP Fiori scenarios support the personnel managers of your company with personnel management and administration. Are the employees from your purchasing department increasingly coming under pressure? Do you need to order a growing range of products and services? Currently the procurement of C articles often swallows up around 60% of the resources. The time for strategic purchasing is therefore becoming increasingly scarce. Save valuable resources with electronic shopping- automate your procurement process with the HTML5-eBanf solution from Advellence. An independent processing request can trigger the order directly with the supplier. A continuous process chain is created without any media disruption. Your framework contracts and supplier catalogues are displayed in the SAP solution, there are extensive search options and you can create user-specific and user group-specific shopping lists. The system can be connected to your stock management system and that of your suppliers. With comprehensive reporting, you can keep an overview at any time. Electronic shopping – automatic and paperless – saves time, money and resources. As a company from the waste disposal and utility industry, do you want to use standardised processes from the industry leaders? Are you looking for a powerful IT environment for this? Diverse and somewhat technically complex services must be performed in the waste disposal industry. SAP Waste & Recycling offers extensive possibilities in order to handle processes efficiently. This includes, for example, municipal and private invoicing of different waste disposal services, service, contract and invoice management, control of service rhythms and customer service in the call centre. Advellence implements SAP Waste & Recycling for waste disposal companies in the private and public sectors. By using our experience from implementation projects, our customers can achieve competitive advantages, make optimal use of resources and thereby increase efficiency. Advanced customer care and the offer of additional services, in particular for private waste disposal providers can be achieved through the use of additional SAP components. As standard, customer service and consulting take place via the call centre; expansion possibilities are, for example, web-based customer service interfaces with the help of SAPUI5 as well as individual customer care and retention through use of SAP CRM. As a property manager or company in the facility management sector, are you looking for powerful software for the efficient processing of all business processes? SAP real estate management supports you with the administration and optimisation of your real estate and property and is therefore the basis for the strategic and operational management of your real estate portfolio. Whether commercial and technical management, controlling, property management or condominium management, SAP real estate management helps with the management of real estate, tailored to companies of all sizes. Advellence and its partner econosoft implement SAP RE-FX for companies and optimise their real estate-specific business processes. We support our customers with increasing the corporate value through a more efficient management of the real estate holdings. The focus is thereby on the migration from RE-classic to RE-FX as well as mobile real estate management scenarios based on SAPUI5. Advellence and econosoft combine their core competences in an interdisciplinary way and use them for the successful implementation of SAP RE-FX. Are you facing the highest requirements in terms of quality, security and accountability in the complicated business of aircraft maintenance and servicing? In that case you should use a customised, specialised IT solution. IT solutions for maintenance, repair and overhaul (MRO) are increasingly designed to support highly sensitive processes efficiently and cost-effectively. Advellence and its partners understand the MRO processes in detail and know which IT applications bring the greatest benefit for the various tasks. With you, our consultants develop the right solution concept and support you with the implementation, whether it concerns SAP Aerospace & Defence, the processing of certain services via the Internet or the technical documentation. The albisLEX solution developed by Advellence controls all processes in and around the line maintenance and is fully integrated into SAP Aerospace & Defence. Is your company increasingly called upon to make all business processes flexible and innovative to respond to growing market dynamics? Do you have business requirements that require an individual solution? Not all our customers’ requirements can be met with standard applications. For you, we design customer-specific developments or custom solutions – depending on your requirements. This allows you to respond flexibly to changing market and production requirements in order to achieve a competitive edge. With mapping requirements and workflows in specific solutions, we support you in all phases of the application lifecycle – from analysis of customer processes, through the design and creation to the operation of the application. You have the choice: Use individual software solutions in order to differentiate yourself from the competition or use already developed and tested project solutions as a starting point.